Black Diamond is a Gateway to the communities of the High Country - Kananaskis, Turner Valley, Hartell and Longview. It is a growing town nestled in the foothills of the Rocky Mountains. The Sheep River provides a favorite spot for fishermen, and the area surrounding Black Diamond provides visitors and locals many activities such as golfing, swimming, hiking, and horseback riding in the beautiful Kananaskis Country. Diamond Valley will bring visitors back time and again for it's beauty, western hospitality, and the adventures found in this beautiful area in the foothills of the Rocky Mountains. Activities involving the 'Old West' bring out the cowboys and cowgirls with the rodeos and horse races. Local events include the farmers markets, art shows and musical events. 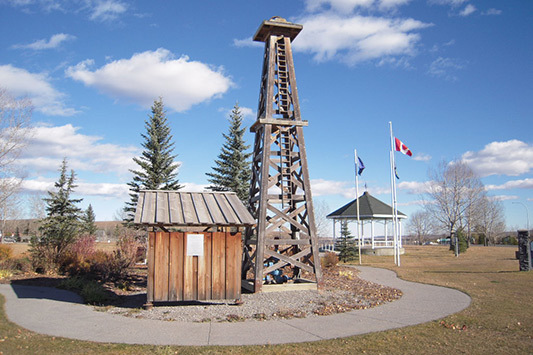 This town and area is experiencing a boom in real estate of late and is one of the fatest growing areas in Alberta. Acreages outside Black Diamond & Turner Valley fetch good prices these days and one can expect to pay at least $500,000 minimum for a nice smaller acreage. Many properties west & south of Turner Valley can go to $1M plus as many have outstanding rocky mountain views. Real estate in the towns of Black Diamond & Turner Valley themselves is no longer a bargain, but certainly less than Calgary & Okotoks still. 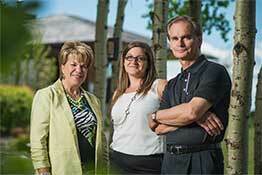 For schools, there is wide selection to choose from, including Okotoks. Numerous additional secondary and post-secondary institutions are located in Calary. Black Diamond's recreation facilities include an indoor arena and curling rink, walking trails, outdoor skating rinks, 2 tot lots and playgrounds, as well as an outstanding range of outdoor recreation opportunities. SEARCH BLACK DIAMOND MLS® LISTINGS NOW!